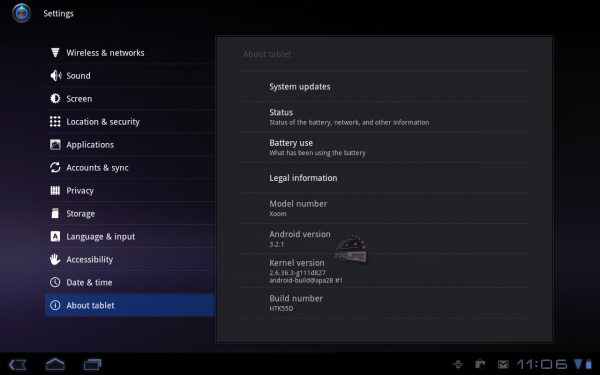 An update is rolling out now to the Motorola XOOM WiFi as Android 3.2.1 and version HTK55D. No go for 3G owners at this time from what we can tell, but Tato’s WiFi version picked it up the minute he checked. Can’t seem to find a change log at this time – we’ll be digging for one though.